Northerntruthseeker: Russian Plane Shot Down By Turkey: Inconceivable That Turkey Acted Independently - Is Washington Complicit In Downing Russian Jet? Russian Plane Shot Down By Turkey: Inconceivable That Turkey Acted Independently - Is Washington Complicit In Downing Russian Jet? Turkey Did Not Act on Its Own. Was Washington Complicit in Downing Russia’s Aircraft? Both countries are NATO allies, united against Assad, wanting him toppled, actively complicit in supporting and using ISIS, as well as other terrorist groups as proxy foot soldiers in the war Obama launched in March 2011. It’s inconceivable Turkey acted on its own, independent of US-dominated NATO. 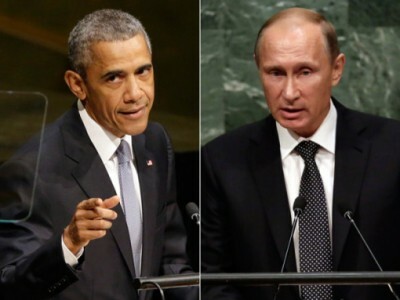 Its action is a major geopolitical incident – a premeditated act of war against Russia in Syrian airspace. Ankara claiming the aircraft entered Turkish airspace, ignoring multiple warnings, has the distinct aroma of a bald-faced lied to cover up a hostile act. Russia’s state tourism agency Rostourism recommended suspending tour package sales to Turkey. Moscow-based Natalie tours already did so. “Our troops are fighting heroically against terrorists, risking their lives. But the loss we suffered today came from a stab in the back delivered by accomplices of the terrorists.” He warned of grave consequence for Russian/Turkish relations. A Turkish Lockheed-Martin produced F-16 warplane willfully and without provocation downed Russia’s aircraft posing no threat to Ankara’s national security, Putin explained. He’s well aware of Erdogan’s complicity with terrorists Russia is combating in Syria – at the request of its government, its actions entirely legal and heroic against a common scourge. “IS has big money, hundreds of millions or even billions of dollars, from selling (stolen Syrian) oil. In addition they are protected by the military of an entire nation,” Putin stressed – leaving no doubt he means Turkey, well aware of Washington using ISIS and other takfiri terrorists as proxy foot soldiers against Assad’s legitimate government. Recalling Russia’s ambassador may come next. Expect Putin to react appropriately to what happened. It’s too serious to ignore or smooth over through normal diplomatic channels between both nations. Putin explained Ankara didn’t contact Russia after what happened, instead outrageously called an emergency late afternoon Tuesday NATO meeting – apparently wanting the Alliance to serve the interests of ISIS, he added. Its actions won’t be tolerated, he stressed. Washington backed Turkey’s absurd claim about issuing “10 warnings” before downing Russia’s aircraft. Was it directly complicit with what happened? It bears repeating. It’s inconceivable Turkey acted alone without permission or direct complicity with NATO’s highest authority. America provides 75% of its budget. It calls the shots – deciding whether, when, where and how to act or react. Erdogan’s action was reckless. Obama is playing with fire if his involvement with what happened is determined. Putin won’t let it pass without appropriate actions in response, already begun. Moscow’s anti-terrorist campaign in Syria will continue as planned, maybe intensified further after what happened – Turkey now clearly and openly an adversary in the war on terrorism, risking direct confrontation with Russia. The US is a failed economy.. There should be absolutely no doubt any more in anyone's minds that what we are seeing is a "train wreck in slow motion" in regards to the economic collapse of America... The US government is therefore absolutely insane in searching for a solution to save their very necks from the very mess that they created when the economy collapses.. .Therefore the think tanks in America are looking at a new world war as a means of driving the US economy and avoiding a collapse.... It is indeed a fact that throughout history, major economic implosions and depressions were "cured" by wars... The real insanity is of course the fact that a world war with Russia could mean nuclear exchanges and the end of America itself... But honestly, the lunatics that run the asylum do not care just as long as the war prevents the disaster that they themselves are responsible for!